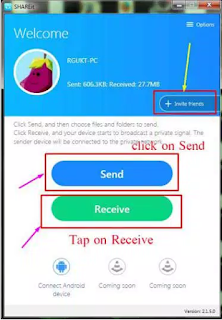 Download Shareit for Windows – SHAREit for PC/Laptop|Download Shareit for Windows 10/7/8/8.1/Mac Pc/Laptop : Shareit well as know an sharing software for andriod. You can transfer your data from one andriod device to another easily & Shareit make it easy to share your data to your friends and the fastest way to share your data. Few Year ago, mostly all people Using bluetooth for sharing data to one device to another. Bluetooth is very very slower than shareit. You can share 10 mb of data in 1 minute in bluetooth but by shareit you can send upto 500mb in 1 minutes. So, its really really amazing. 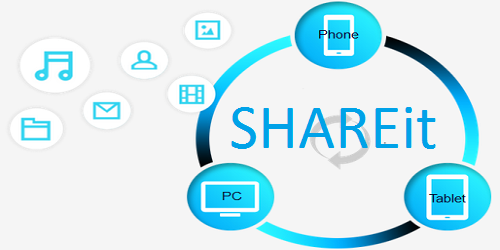 Today, Shareit also work on PC/Laptop easily. 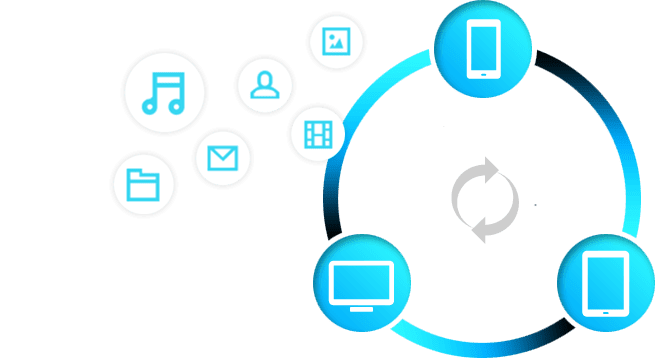 Now you can transfer your data from laptop to laptop, laptop to pc, laptop to andriod/iOS etc and also Recives data from another Laptop,iOS,Andriod devices. Basically we use usb cable for data transfer from andriod and laptop/pc. Its really takes a lots of time in this process but by using Shareit you can easily transfer your data from laptop to any device. 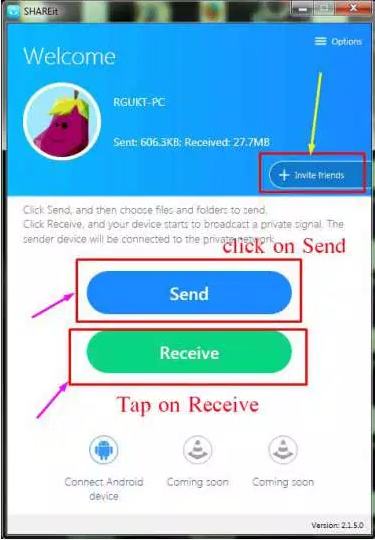 Simply just open shareit and select file you want to share and send it. Shareit is now is the best software for transferring files from one device to another. Its also very Easy to Use and access. i Recommded to use Shareit in your window 10 laptop. Basically PC/Computer does not support Shareit because there is no inbuilt wifi available , but dont worry nothing is impossible. You can also buy wifi adaptor from market and plug in your computer/Pc.